Today I wanted to talk about the TC Electronic Ditto X2 Looper, and include a great video about some basic tips for doing ambient loops. In the video, Stefan Fast mentions one of my looping heroes – Andy Othling and talks about a simple tip of setting up non-timed drones by looping a portion of silence first. I remember Andy discussing this when he was looping with a Line 6 DL4 and is a fantastic tip if you’re looking at building up drone volume swells. If any of you aren’t familiar with Andy Othling, and want to go down the YouTube rabbit hole, definitely check this guy out here. Stefan then goes into some of the excellent features available in the Ditto X2 like the ‘reverse’ function with reverses the loop for coolness/weirdness in the loop! And demonstrates the 1/2 speed drop. Both of these effects are controlled via FX toggle switch on the Ditto X2 Looper for selection, and footswitch for activation. As you can see. the TC Electronic Ditto X2 Looper is quite the big brother compared to their original compact lopper the TC Electronic Ditto, with additional functionality and power. The footprint is bigger, but still overall, quite small. If you’re interested in purchasing the TC Electronic Ditto Looper it’s currently on sale for $10 below standard price at Amazon.com for only $169.95 and includes FREE shipping. 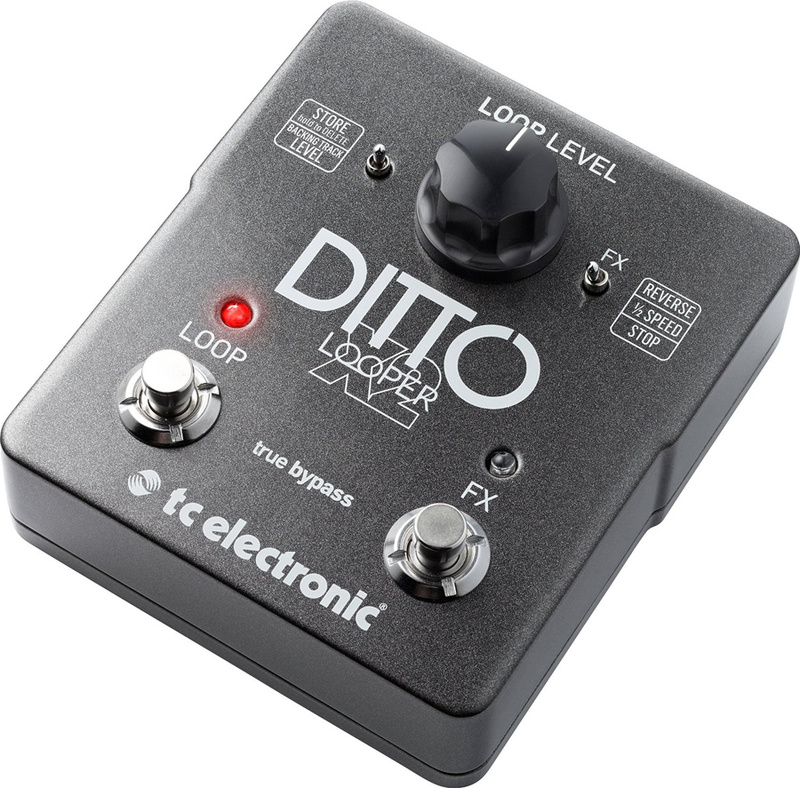 If you own the TC Electronic Ditto Looper, please let us know what you think by commenting below! Also, don’t forget to enter the T-Rex Replay Box Delay Give Away, you still have time to enter!